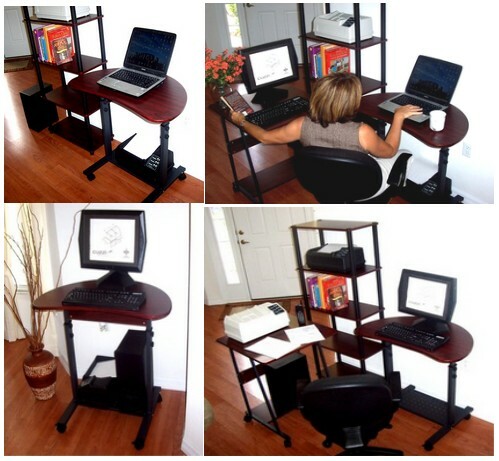 These images also show how, by adding additional compact desks, like the STS5806, a flexible L- desk type layout can be achieved and reconfigured in minutes. 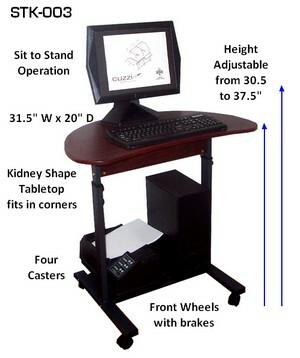 This small portable computer desk has a rounded kidney shape to facilitate its use as a corner computer desk and to help optimize layouts in small spaces and critical work areas, especially when extra room for computers, monitors, printers, etc.. must be improvised.. 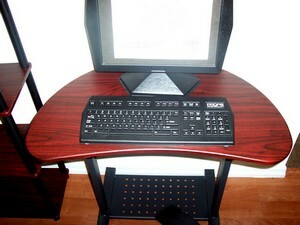 The bottom shelf can be used to hold the CPU or a printer. 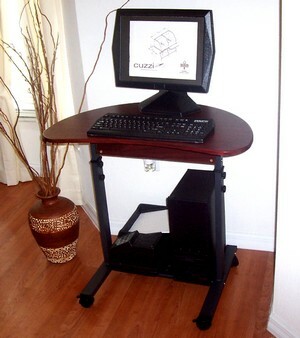 This compact desk is very practical for all types of businesses, for trade show exhibitors, educational facilities, lobbies, industries and anyone needing space-saving, narrow, small modern computer furniture. 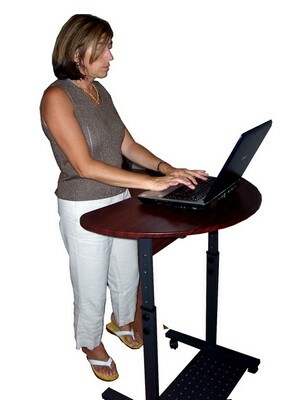 The height can be adjusted from sitting to standing position by removing 2 knobs on each leg frame, selecting the new height, and re-attaching the knobs. 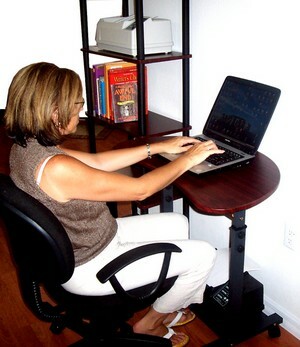 The height has 5 height choices (increments of 2" each).